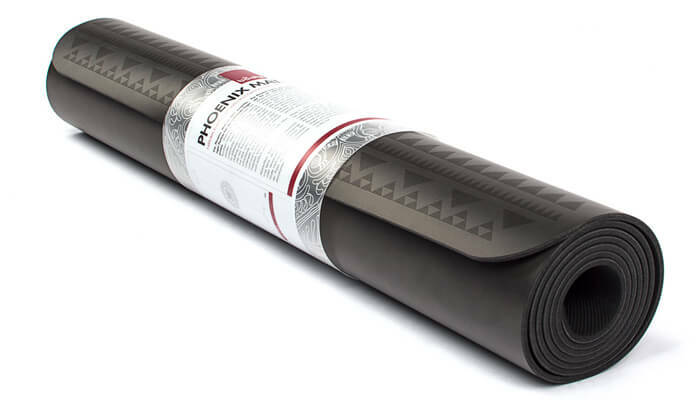 The Phoenix Mandala Yoga Mat in black is the perfect partner for intensive yoga practice. 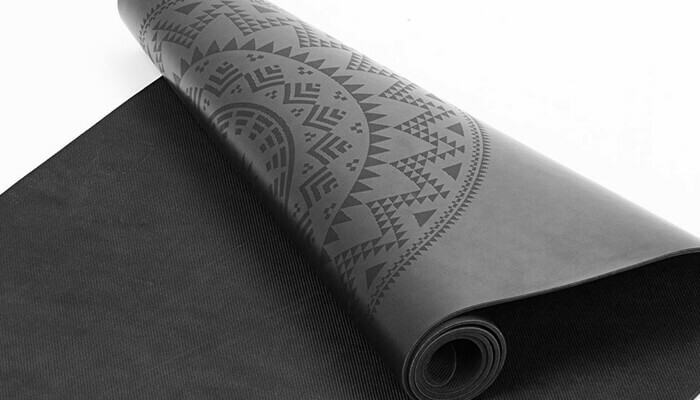 Ideal for Ashtanga Yoga and other styles where grip is particularly important. 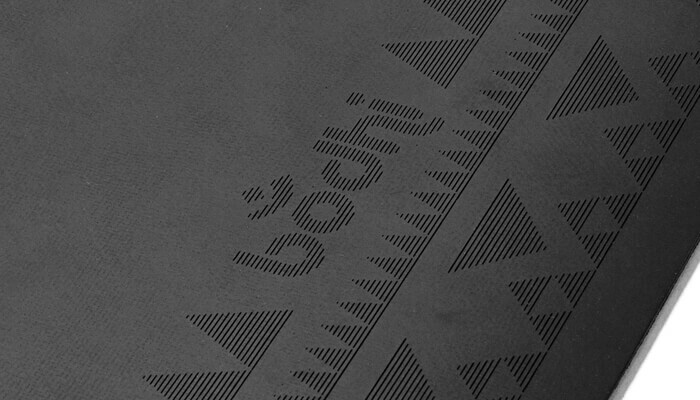 While other mats get slippery with sweaty hands and feet, the Phoenix mat gets even more grippy! 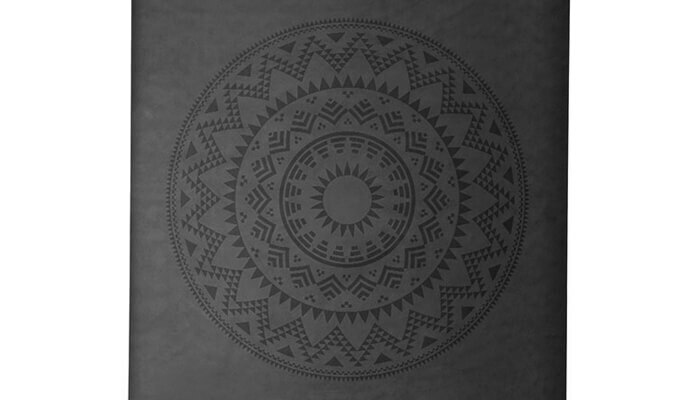 This mat also looks stunning with its subtle but truly stylish central Mandala design and other detailing to the edges. The reverse side is free from any design and as this is also a double sided you can also practice on this side if you prefer. 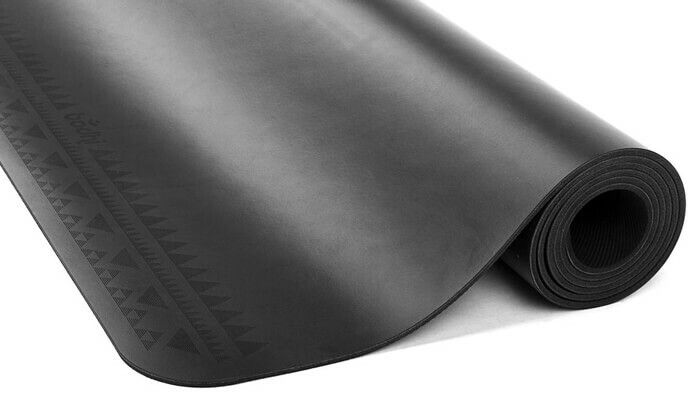 Similar to the popular Onyx mat, this mat exudes quality. It also features a beautiful yet subtle design. The 4mm thickness makes it comfortable yet portable. 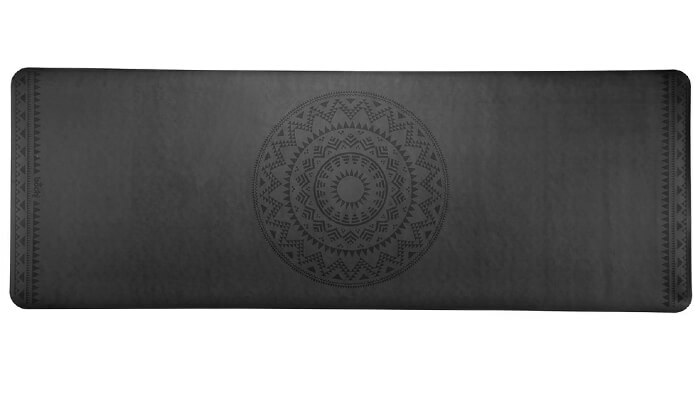 The mat is perfect for Ashtanga yoga or other impact forms of yoga. It’s also one of the most grippy mats we know. Wipe to clean. The PU coating should be cleaned only with cleaning agents containing no alcohol. We recommend after a particularly hot or sweaty practice you wipe the mat down with warm, soapy water. Please use only a very small amount of detergent and wipe down again with clear water to avoid leaving any soapy residue on the mat. Also, roll the mat together only when it is completely dry.